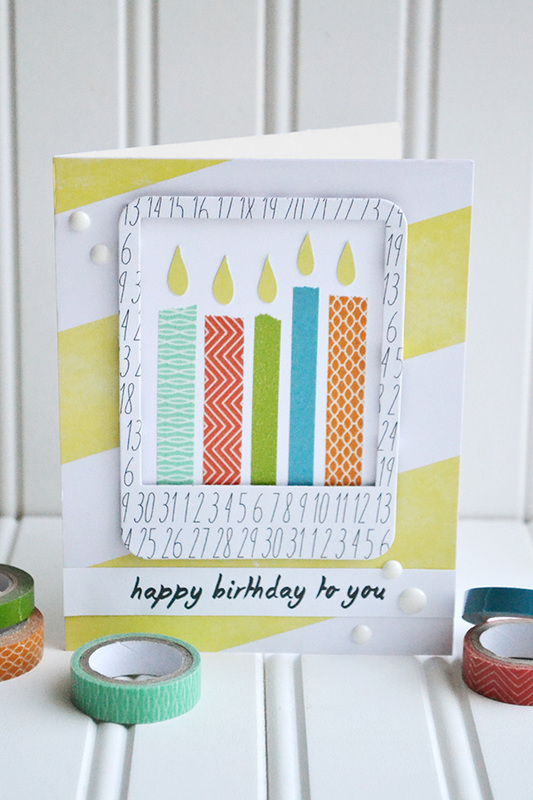 Today I'm sharing a fun way to use Washi Tape on the We R Memory Keepers blog. 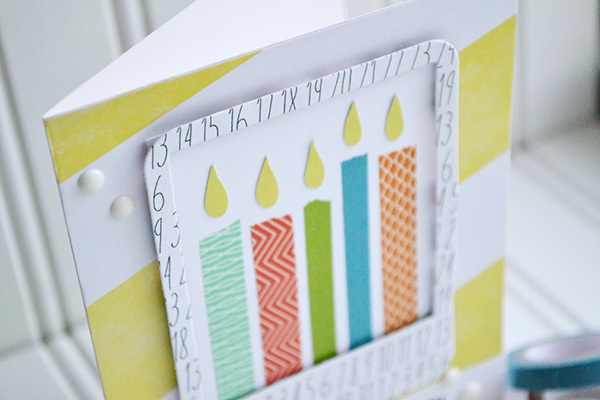 Check out these washi tape birthday candles! Simply peel a length of washi tape, place it vertically on your paper, draw or cut out a yellow flame shape and add it to your candle. Voila! I typed and printed my card sentiment using one of my new favorite fonts--a watercolor brush script font called Story Book. Then I cut it into a strip, and added a few white Enamel Dots to finish off my card. 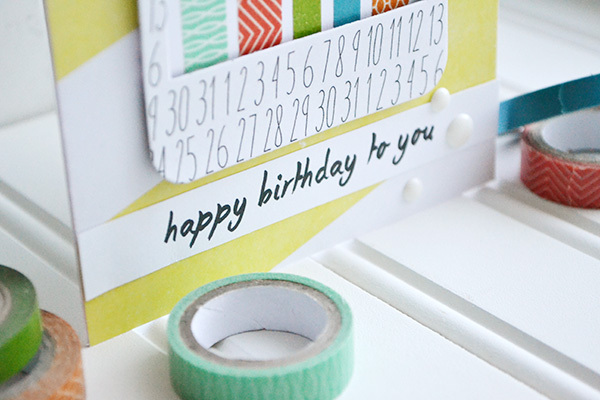 For more details, supplies, and tips for using washi tape, visit the original post on the We R Memory Keepers blog HERE. So, are you a washi tape fan? What are your favorite ways to use washi tape? Be sure to share your washi projects on my Facebook page!